Discussion in 'Phone Specs/Reviews and Price' started by Tech Nation, Nov 25, 2016. 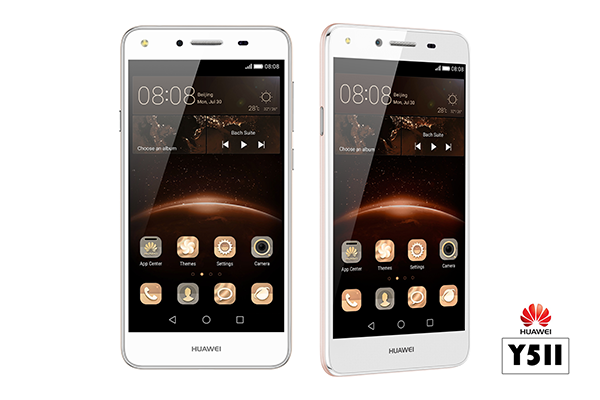 The HUAWEI Y5 II is a smartphone with fantastic features including an awesome camera, 5-inch LCD screen, in-built phone manager and a new phone feature called the easy key that allows you create short cuts which isn’t common in all android phone. What is so amazing about the Y5II camera is that it creates a clear crisp image due to its 81 wide angle lens. 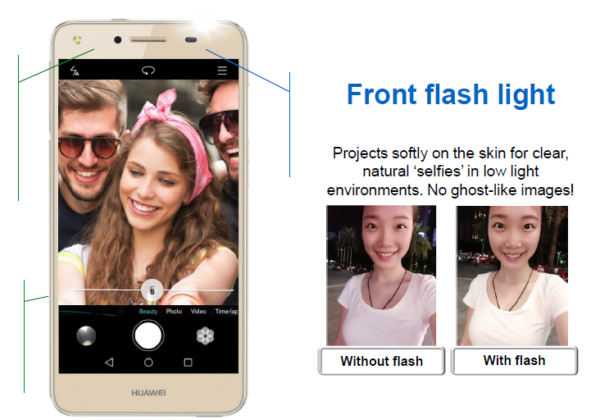 The front camera projects softly on the skin helping selfies come out clearer and more natural looking even in low light environments, so no ghost-like images. The camera is also equipped with an ultra-snapshot feature that rapidly takes photos within 1.2 seconds capturing all those spontaneous moments. The rear camera of the Y5II is considerably the best in its range, with 8MP, dual flash light and low light shooting that ensures night time party memories are clearly captured. Also, with the Huawei Y5II there’s no need to buy photo editing apps because it comes with a professional standard 10 level auto face enhancement capability that helps create flawless, natural looking beauty shots. The Easy key a new feature available with the Huawei Y5II helps save time. With easy key, you can by set up shortcuts for your favourite functions and apps with three simple operations; press, double press and hold, so you can say goodbye to endless clicks. The easy key is strategically place on the opposite side of the power key and volume key so the phone sits comfortably in your hand. With the built in phone manager, the Y5II has three built in functions to help optimize, clean and protect your device. With a 5 inch IPS LCD display, the Y5II creates a whole new definition of user experience. The extremely easy to use Android 5.1 + EMUI 3.1 UI comes with a timeline feature designed to quickly manage information. Also on the Y5II, apps can be opened by drawing letters with your knuckles with the EMUI 3.1, for instance the letter C can be drawn to turn to turn on the camera.